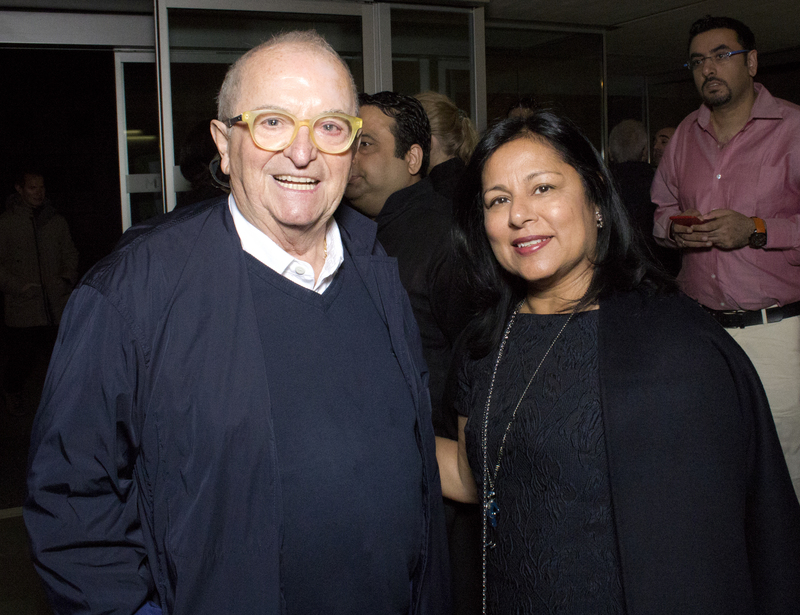 As a regular attendee of the San Sebastián Gastronomika, I was thrilled to be invited to the 2017 congress as a delegate. I was tapped to present Indian chefs on stage as India was the invited country and I had the privilege to felicitate chef Michel Bras as he received the Tribute Award for 2017. 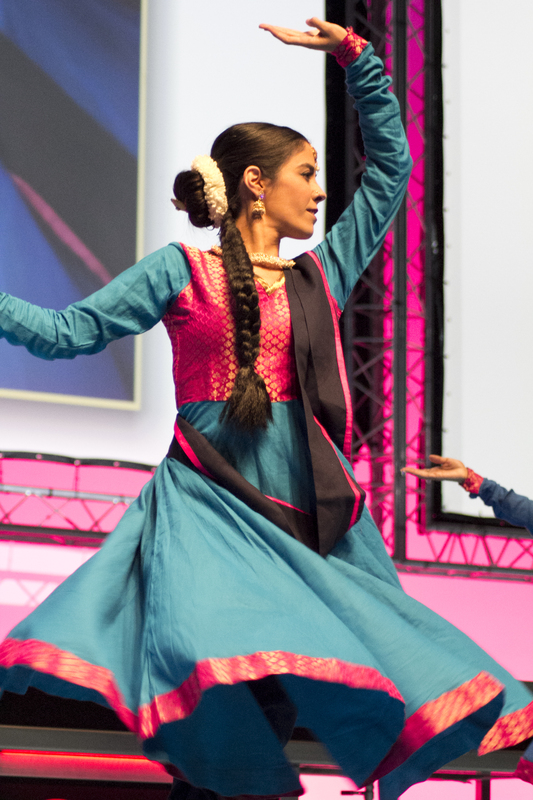 In all my years of attending the congress I had never thought, as an Indian chef and food writer, I would see a Indian artists dancing the traditional “Kathak” or the sounds of Bollywood music resounding in the familiar auditorium. San Sebastián holds a very special place in my heart with many dear friends and happy memories of eating adventures for over two decades. The Gastronomika involves four dazzling days of galas, presentations, dinners with the opportunity to catch up with many chef friends from around the world. It is one of the last few remaining congresses with a sponsored format and has brought a lot of attention and luminaries to the Basque Country of Spain. 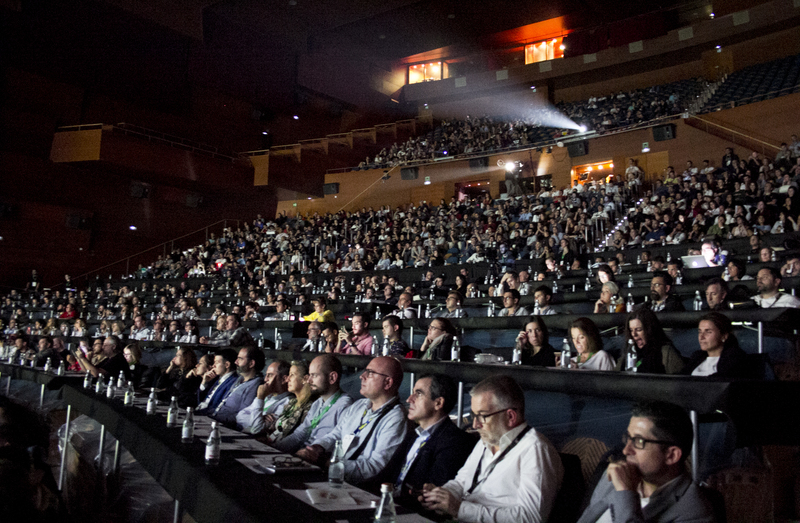 This June the World’s 50 Best Restaurants gala will be held in June in Bilbao bringing chefs, food lovers, journalists, and media attention to the region and probably changing it forever. My edited report was published in a magazine for which I was culinary editor at the time as a freebie and I am now sharing it on this forum. 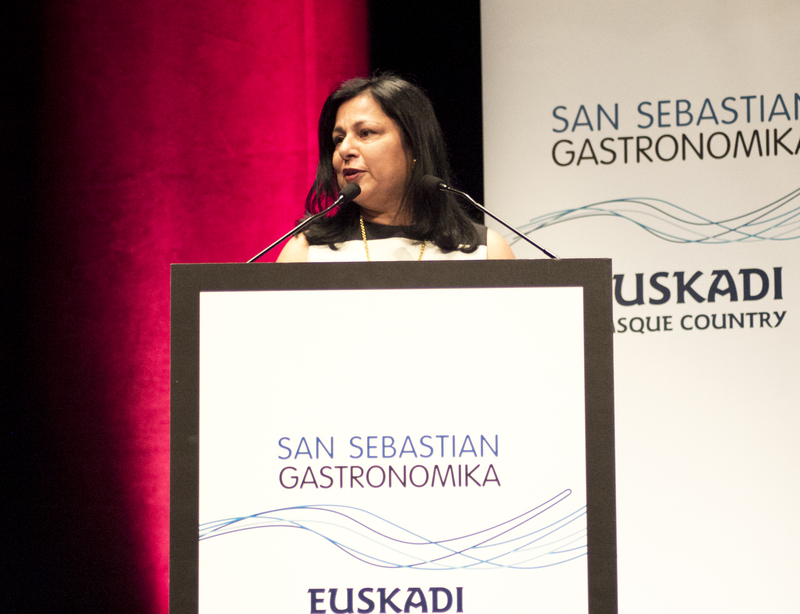 One of the world’s most prestigious and well known culinary congresses the San Sebastian Gastronomika returned once again to the Basque Country of Spain at the Kursaal Palace in October of 2017 for its 19th edition. 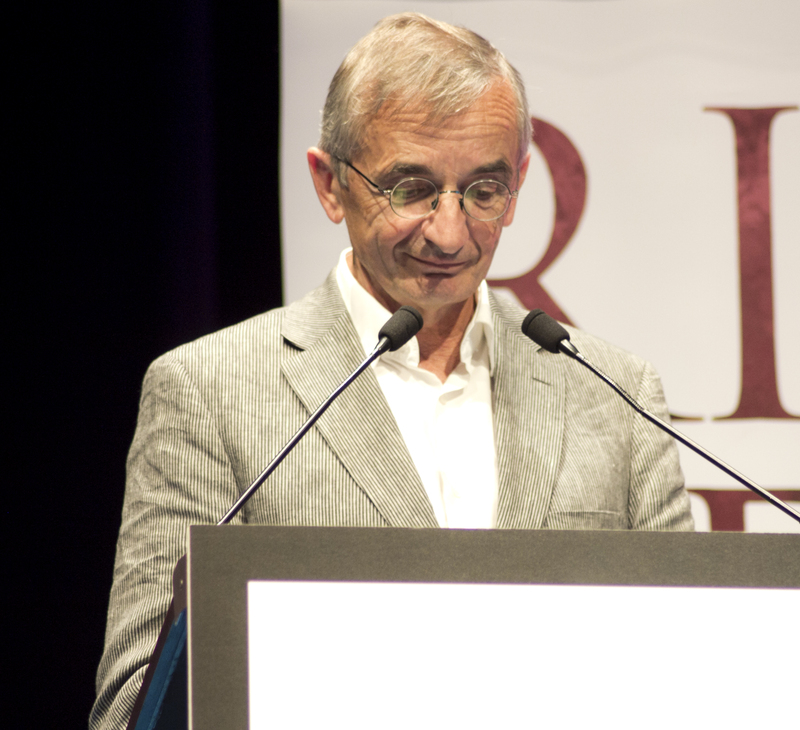 Grupo GSR president Roser Torras took over the reins of the decade long Le Mejor de Gastronomika event in 2009 and has since established the Gastronomika as an elite international assemblage of the stars of gastronomy. Overseen by a technical committee led by Torres and accompanied by the regions acclaimed chefs Juan Mari Arzak, Pedro Subijiana, Andoni Luis Aduriz, Eneko Atxa, Josean Alija, Hilario Arbelaitz, and Martin Berasategui the four day event took place from the 9th to the 11th of October. 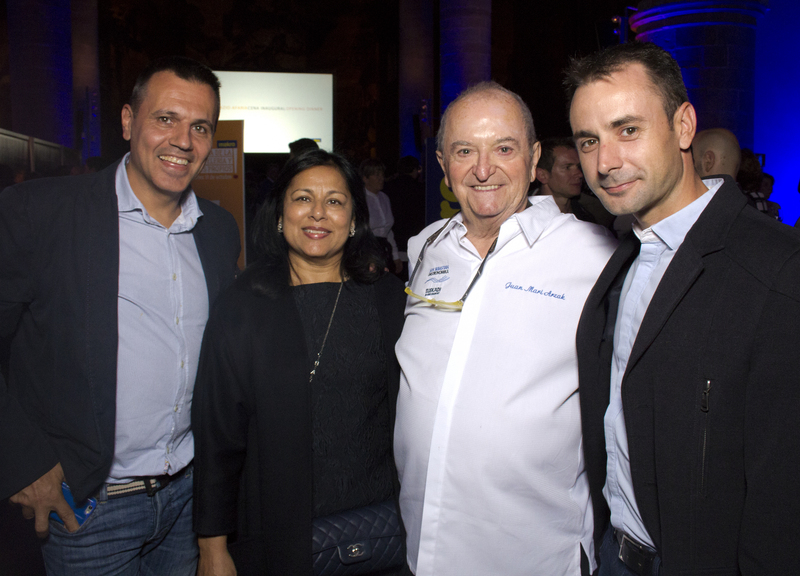 A highlight of this year’s edition was a tribute to acclaimed French chef Michel Bras for his contribution to the world of cuisine. The legendary chef from the Aubrey region of France has strong ties with his peers in the region as well as the Basque Culinary Center, the world’s leading gastronomic academic institution, where he is on The Basque Culinary World Prize committee. This year’s Gueridon de Oreo award was awarded to Hotel de Ville, Lausanne, Switzerland’s Head Waiter Louis Villeneuve while English journalist Nick Lander of the Financial Times claimed the Pau Alborna i Torres Gastronomic Journalism award. The Kursaal housed in two large cubes emerging from a platform formed by a prismatic structure is a stunning Rafael Moneo designed complex. Within view of the Zuriola beach it is located at the confluence of the Bay of Biscay and the Urmea river that runs through the picturesque town. This edition focused especially on India the invited country and its wealth of spices and regional cuisines. Sponsor El Diaro Vasco’s general manager David Martinez shared, “India, which is practically a continent in terms of geographical size and a giant in terms of population is largely unknown in general by the rest of the world.” That was the reason that this year they had taken on the humongous task of bringing the best of Indian cuisine to the Gastronomika in order to bring new ideas to the gathering. The congress took on the full flavors of India evidenced by the director of the congress Roser Torre’s colorful Indian attire on stage for the three days of the event. Torres and her team traveled extensively through India to curate the special congress in order to provide an insight into exotic, organoleptic and historic cuisine of India. From the contemporary to the traditional and from the north to the south a whole gamut of diverse Indian cuisines were explored. In Torres’ words, “A dream finally fulfilled, India.” The Bollywood tunes and the melodies to which Indian “Kathak” dancers in their colorful attire spiraled onstage brought the house down and short of an elephant on stage definitely set the tone for what followed over the course of the event. The congress was supported by the local government and institutional bodies and their representatives. Bittor Oroz, Deputy Minister of Agriculture, Fisheries and Food Policy of the Basque Government, Denis Itxaso, Councilor for Culture and Tourism and the Mayor of San Sebastián Eneko Goia Laso were on hand as well as the Indian Ambassador to Spain Mr. Venkatesh Varma. The Embassy of India, in cooperation with the local Basque government, took the opportunity to organize a meeting with the food processing sector in the region to foster business between the two countries. 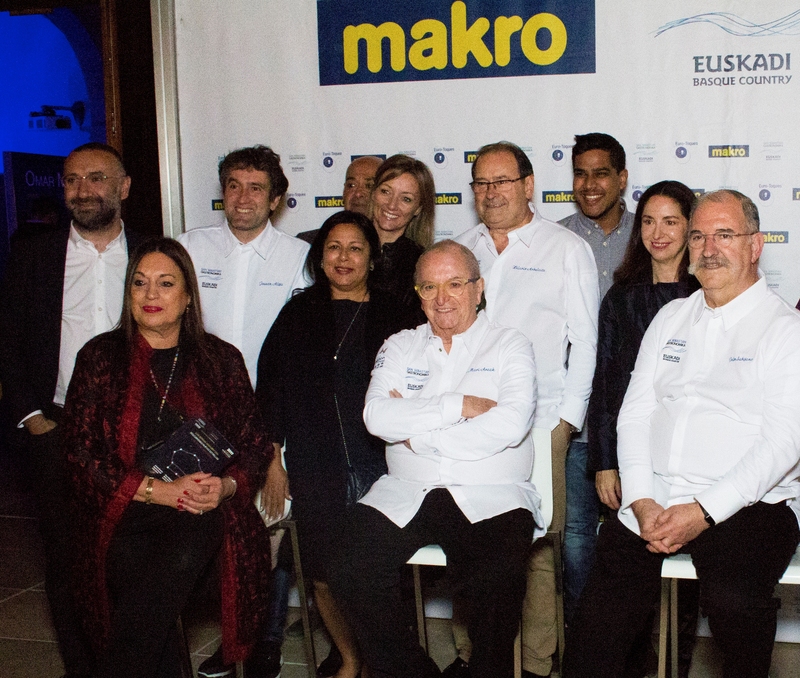 A new record 40 presentations with more than 60 chefs on stage included both Spanish heavy hitters and emerging talents. The Spanish presenters who drew full house included chefs Joan Roca, Martin Berasategui, Juan Mari and Elena Arzak, Andoni Aduriz, Carme Ruscalleda, Dani Garcia, Josean Alija, Eduard Xatruch and Oriol Castro, Albert Adria, Jordi Cruz, Nandu Jubani, Fina Puigdevall, Hilario Albelaitz, Pedro Subijiana, Nacho Manzana, Josep Roca, Ricard Camarena, Pepe Solla, Fran Lopez, Javier de las Muelas, Tono Perez, Fernanda Centelles, Jesus Sánchez, Alvaro Garrido, Safe Cruz, Pepe Solla, Diego Gallegos and Robert Ruiz. 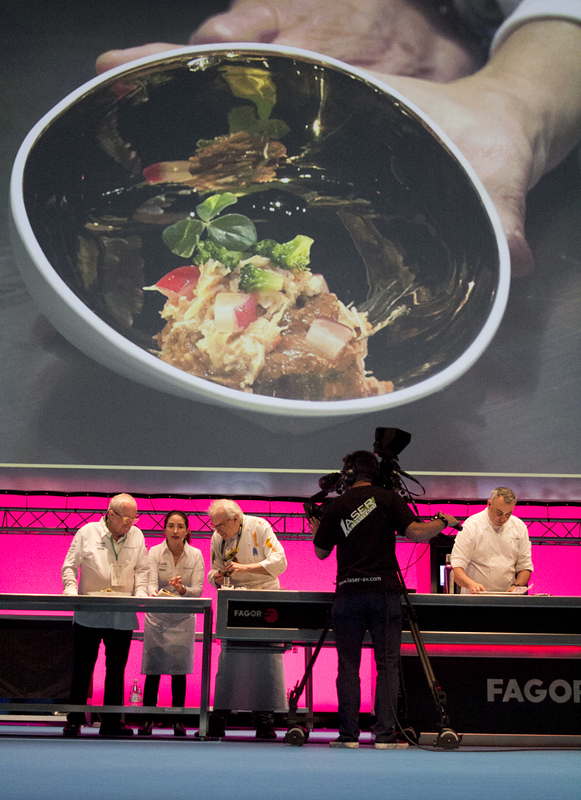 The international stars Mauro Colagreco, the Argentinian-French chef from Menton, France and Jose Avillez, the Portuguese star chef, dazzled the audiences with their onstage presence and an opportunity to live taste their creations. The beetroot baked in a salt crust with a cream and caviar sauce by Colagreco was one of the most popular tastes that made it out to the audience in the jam packed closing event. The very calm and composed Jose Avillez pulled out all the stops on his version of a Portuguese stew that even those who didn’t get a taste found delicious in the preparation and visuals. Spanish chef Dani Garcia’s witty presentation with audience members pulled on stage for impromptu tastings was a highlight of the last day. Who doesn’t love anchovies with truffle? 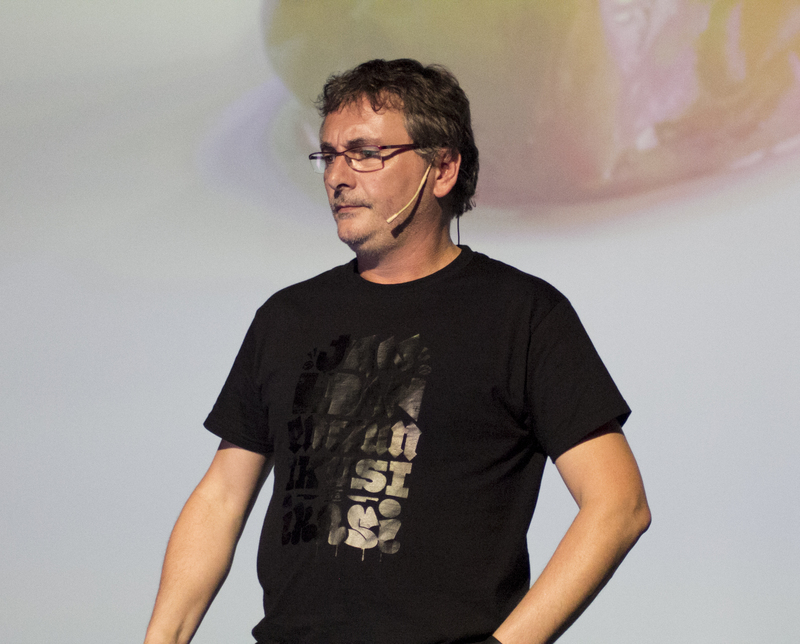 Andoni Aduriz presence on stage is eagerly awaited by fans and peers for his energetic presence as well as the memorable visuals especially the journey into chef Michel Bras world. Aduriz is a natural on stage and mesmerized the audience as usual with his futuristic outlook and projections most fantasizing about visiting his Mugaritz restaurant. The father daughter team of Juan Mari Arzak and Elena Arzak received a warm welcome by their fans from their home base while their demonstration on stage as well as the amusing chocolate frogs passed out for tasting gave a glimpse into the tongue in cheek humor at their three Michelin starred Arzak temple of haute cuisine. Joan Roca from three Michelin starred El Celler de Can Roca film clip and the multiple dishes demonstrated in thirty minute allowed a peek into the essence of his cuisine which placed him at #2 on this year’s World’s 50 Best Restaurants list. Carme Ruscalleda the only woman in the world to hold seven Michelin stars focused on the intriguing question ;what does the cosmos tasted of? Her pictorials are an added bonus allowing a glimpse into the artistic world of this self taught chef. Ruscalleda’s Red Planet dish with strawberries, tomato, basil, and chia seeds was a hit with the audience. Joxe Mari Aizega the Director of the Basque Culinary Center and lecturer Diego Prado presented the findings of their investigation of wild herbs at the BC Culinary Lab in the quest for new techniques and products. This research at the BCC has produced the Manual of Wild Plants, a catalogue and their use in the modern kitchen, an important organizational tool for cooks. The Chefs from Disfrutar in Barcelona, formerly at the famed El Bulli, Oriol Castro, and Eduard Xatruch rocked their live presentation with their gilded mackerel enabling a peek into the creative process that earned them the “Miele One To Watch” award in 2017. Albert Adria brought his six chefs and creative team from Enigma Concept, Tickets, Nino Viejo, Hoja Santa, Pakta, and Bodega 1900 on stage in an unique presentation showcasing his multilateral business formula. The auditorium was bursting at the seams for this low key chef with a rock-star status around the world and the unique exchange and live cooking with his chefs. Chef Martin Bersategui the Spanish superstar with eight Michelin stars of which three each are held by Larte in Oria and Lasarte in Barcelona showcased his alchemy of complexity that shines in his elegant cuisine. A choral discussion on service and the dining room took on the topic of service, an often overlooked facet of the hospitality industry which is an intrinsic part of a diners experience. Chef Fina Puigdevall brought her zero kilometer and sustainable outlook from her two Michelin-starred Les Cols in Olot on the outskirts of Girona. Hopefully next year there will be more female chefs demonstrating their cooking acumen on stage over just a token presence. The spice to the affair was added by the presence of Indian chefs from the home country as well as those cooking around the world. 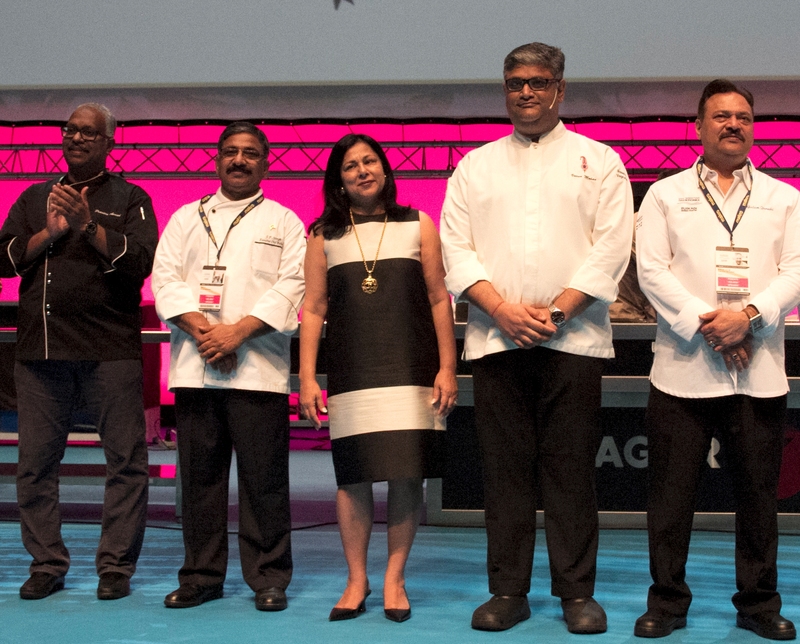 The lineup of fourteen Indian chefs included Srijith Gopinathan (USA), Sriram Aylur (UK), Vineet Bhatia (UK), Gaggan Anand (Thailand), and from India there was J.P Singh, Gulam Quereshi, Varun Mohan, Manish Mehrotra, Praveen Anand, Manjit Gill, Saurabh Udinia, and Thomas Zacharias. Indian chef Sriram Aylur’s succinct presentation, demonstration and a taste of his mouthwatering South Indian flavors impressed those who got a taste of the curry leaf and lentil crusted fish. He is the only Indian chef serving this regional cuisine to hold a Michelin star at his Quilon restaurant in London. The starred chef Srijith Gopinathan from Campton Place took a temporary mechanical failure in stride and made instant fans in the audience for his good humor. Chef Manish Mehrotra from Indian Accent shared his contemporary fusion version of the Indian kitchen with a version of “chaat”, the most popular Indian street food a dish that resonated a many other chefs presentations over the three days. The vegetarian cuisine of Varun Mohan from Royal Vega in Chennai was what many in the audience connected with Indian cuisine. The crispy asparagus dish with raisins and almonds had the culinary students asking if it was a popular vegetable in India! The desi ghee (clarified butter) and dhania (coriander powder) bandied about by the Indian chefs gave the Spanish translators a run for their money as they scrambled to find the appropriate terminology during the live demos. Chefs Gulam Quereshi from Bukhara, New Delhi and J.P Singh demonstrated the traditional Indian Mughlai cuisine in Biryani and chicken kebab dishes while chef Gaggan Anand from Bangkok shared his version of progressive Indian cuisine. Chef Manjit Gill from Delhi shared secrets of ancient Indian kitchens while the chef of the former VBL restaurant in London veered towards fusion. Two young Indian chefs Thomas Zacharias from Bombay Canteen in Mumbai and Saurabh Udinia from Masala Library in Delhi brought the audiences up to date on the contemporary plating styles and progression of regional cuisines in their respective metropolis. At the other end of the spectrum chef corporate chef Praveen Anand from Dakshin restaurant, who has assiduously researched the cuisines and history of South Indian communities, shared his hands on take on the specialized dishes. The massive Kursaal complex, with its great auditorium, multiple meeting halls and exhibition spaces were the site of the diverse program which was divided into four sections. 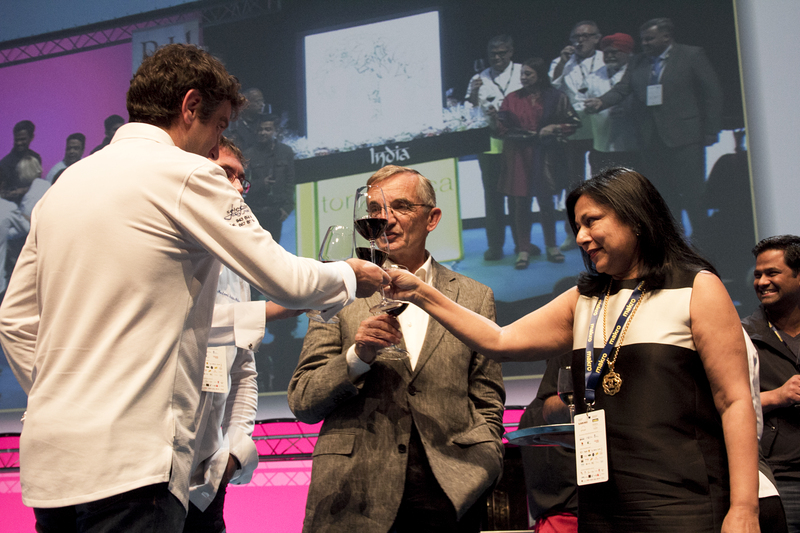 The ALTA, a gathering of elite chefs from Spain and around the world, the OFF which brought together wine aficionados, workshops and cooking sessions. The section POPULAR introduced the attendees to the street food flavors of India, the highlighted country at this edition. Indian chefs J.P Singh, Varun Mohan, and Ivan Surinder also shared their recipes and flavors in the chambers of the complex during free entry day the day before the opening. Gastronomika opens its doors every year to the local residents and food enthusiasts in the area allowing them to participate in one of the biggest happenings in the city and its popularity is evidenced by the lines of people snaking around the block. The enticing flavors of Indian spices wafted around the Kursaal entrance porch allowing visitors to sample the exotic cuisine. The MARKET brought together exhibitors from all over the map providing an insight into upcoming trends and technologies for interested culinary professionals as well as tastings for the curious. 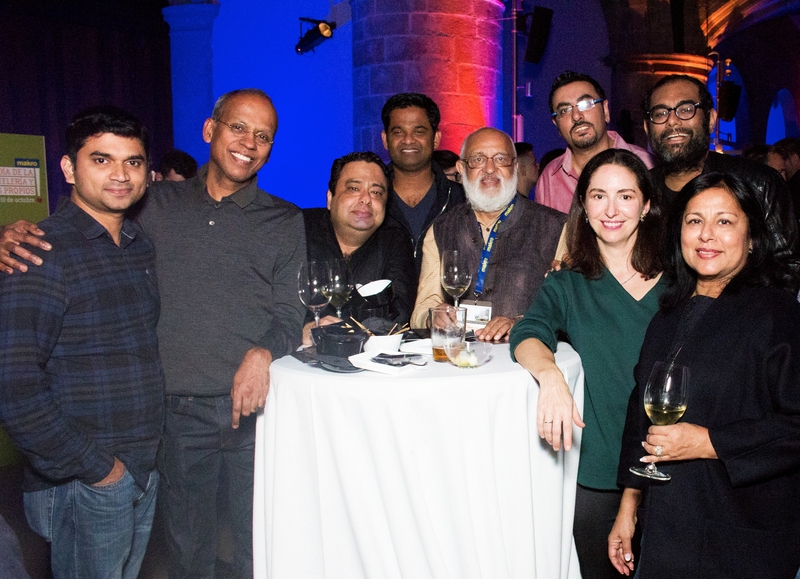 As the last notes of the Bollywood music died away and the clearing operations picked up momentum there was already talk of the next edition which will celebrate the 20th anniversary of this popular food event. 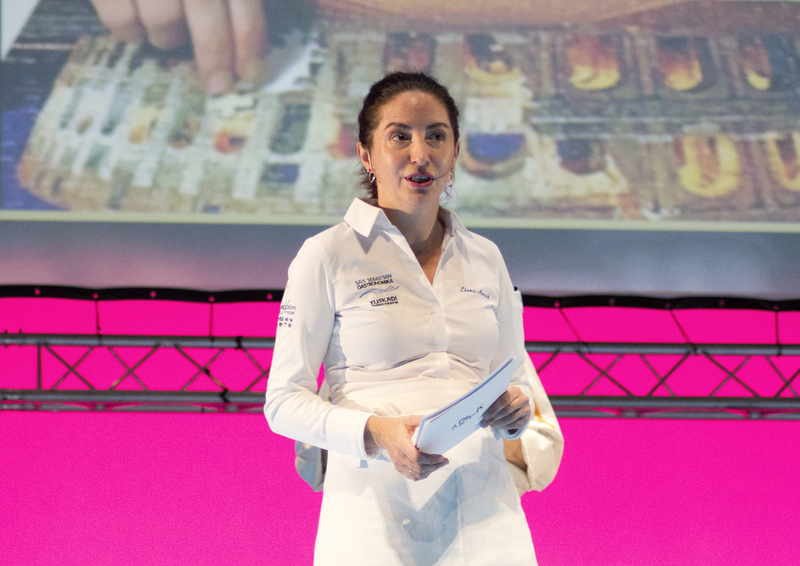 No rest for the weary as the organizers are already back at the drawing board after a job well done for a congress that brings together ideas, visions, chefs, gastronomes, and culinary professionals from five continents. The curious are probably looking up the glossary of Indian spices and planning on bringing some of the flavors from the mystical cuisine into their kitchens. Bravo San Sebastián Gastronomika and Roser Torres!